It's been 80 years since the great Martian invasion nearly destroyed all of mankind. Most of us living now can barely remember this War of the Worlds. Tri-pods and their dreadful Heat Ray that had caused much calamity. The monument to those who perished where the invaders' cylinder crashed stands in a field in Grover's Mill, New Jersey, a forgotten spire. Few remember what it was like to run in fear of these merciless creatures. Their minds were immeasurably superior to ours, yet they were destroyed by the very bacteria to which we Earthlings are immune. Of course, we don't visit these places or remember this war because it never happened. 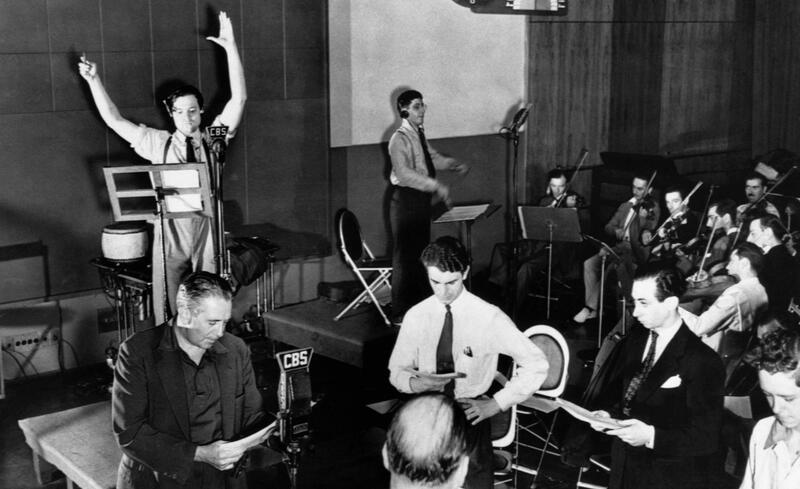 However, on Oct. 30, 1938, Orson Welles and a group of actors called The Mercury Theater on the Air went on the radio and told listeners that it did. Now 80 years to the date this Oct. 30, the Martians will once again come with their Tri-pods and Heat Rays and destroy us puny humans. This year, as I have done in the past, I will help celebrate this historic broadcast with a free educational event. Employing more modern technologies, I use my Live YouTube channel to air it. I've been fascinated by this ever since my father told me about it at 12 years old. Scouring the AM stations one night, I found it. I sat there stunned and wide-eyed listening to what seemed to be actual people being atomized by alien monsters. It was unbelievable and sounded so real to me. Afterward my dad asked me what I thought of it, and I replied, "That was awesome!" To this day, when I play it for friends, I sit grinning with a wicked appreciation of its unflinching realism. Over the years I became an unconventional historian on it and read many accounts of how it caused a panic for those who heard it how an actor took his Broadway group from the stage to the airwaves to make it all happen. I've even had the fortune to talk to a small handful of people who heard it live as it was happening. One man told me that his parents thought it might have been a real attack, but a neighbor had read in the paper that it was just a play. Even if most of the accounts of mass panic have been embellished, the show was a powerful moment for radio. Honestly, and to be completely blunt, I couldn't care less about how many people may or may not have been driven to panic over the broadcast. That discussion just takes the magic away from it. 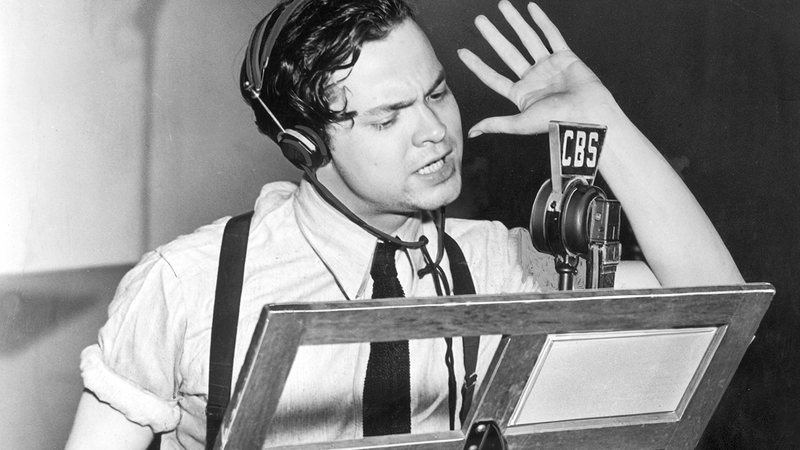 The War of the Worlds radio broadcast is wickedly entertaining and is just what the man who thought it up intended it to be. "[This is] our version of dressing up in a sheet and jumping out of a bush and yelling BOO!" Explained Mr. Orson Welles. You might remember him from that little movie he did called Citizen Kane. Welles was only 22 years old when he started The Mercury Theater on the Air. Comprised mostly of friends from the stage, they began a series of radio dramas on the CBS network. Welles used a style called First Person Singular, in which he would play the lead and narrated the play. Meanwhile, he directed the shows from a podium, waving his hands like some mad conductor, cueing the actors to pause or indicating dynamics in real time. It was during the late summer of `38 that he got the idea to do a radio version of H.G. Wells' classic novel The War of the Worlds. His friend Howard Koch began writing the script, changing the novel's location from England to the States. Instead of doing it in the style of a play, like most shows were following, Welles went with a wild new concept. He wanted it to unfold like a real-time news event. "I had conceived the idea," he said, "of doing a radio broadcast in such a manner that a crisis would actually seem to be happening." The script took on many revisions and was nearly finished on time, with some changes occurring on the day of the broadcast. One such change happened during the final dress rehearsal hours before the broadcast was set to air live. An actor playing a field reporter wasn't happy with the timbre and inflections of his character's reaction when the Martians attack. During a break, he went down to the CBS archives and listened to the infamous recording of the crash of the Hindenburg. As news teams watched and filmed the disastrous event, one reporter's grievous and frenzied account was all the inspiration the actor needed. On Sunday, October 30th the stage was set, but Welles had one last trick up his sleeve. That same evening, the famous ventriloquist Edgar Bergen's popular comedy show The Charlie McCarthy Hour was airing on another station. The War of the Worlds broadcast started earlier than was scheduled and most missed the opening segment that announced that it was only a play. What they heard were a simple weather report and dance music. This was interrupted by a report of meteors crashing into a field outside of a town in New Jersey. These turn out to be the Martians who are not at all friendly. It just gets crazier from here, but I won't spoil the rest for you. If you've never heard it, or for those who have, please join me on Tuesday, October 30th on my live YouTube channel. I will play the entire broadcast along with a selection of Halloween themed music spanning decades to start the show. The War of the Worlds broadcast has captivated me since the first time I heard it on that crackly AM radio station. The innovative way it was presented surprised anyone who heard it that October night 80 years ago. It's a fun Halloween tradition for myself and I would love to share that experience with you. Be sure to check the Youtube Channel on Tuesday, Oct. 30 to catch the special broadcast.